The practices of yoga and meditation have been a way of life for me since 1998, although I had no idea in those early days to what extent they would profoundly change my life. It has been a journey of learning to trust that we are in exactly the right place at the right time. I began teaching over 25 years ago, and even though in the beginning the subject was different, teaching has been my path since I left university. In 2000, I was initiated into the practice of Buddhist meditation with Goenkaji in the Vipassana tradition and since then have been taught and inspired by Thich Nhat Hanh and teachers from the Insight and Thai Forest traditions. 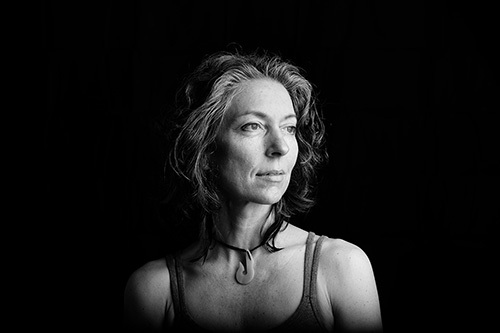 In 2005, my first yoga teacher, Beth Shay, took me under her wing as an apprentice. I now know how precious this opportunity was – to be able to spend time off as well as on the yoga mat with my teacher and learn about how the yoga teachings extend into every aspect of our lives. In 2006, life took quite a change in direction. By then, I had had 2 children, my priorities were beginning to change and I had become disillusioned with the way the company I had been working for was being run. Yoga helps us to listen to our hearts, and I had found that I could no longer work for a cause that I didn’t believe in. I took the leap of faith, left my job and enrolled on an Anusara teacher training course, recommended by Beth. At that time, we were living in Surrey and I was desperate to get away from the ‘rat race’; my heart was also calling out for the countryside. After several years of feeling stuck and unhappy, everything suddenly fell into place and we moved to Cornwall, where my teacher trainer, Bridget Woods Kramer, was living. I spent the next 8 years training with Bridget and again found myself in the fortunate position of being able to attend weekly classes and spend time with her outside of class, as well as participating in formal trainings. 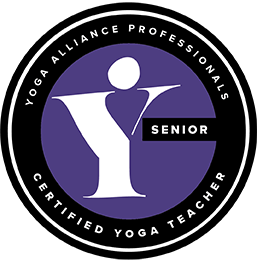 Other inspirational teachers I have trained with from the same lineage include John Friend, Carlos Pomeda and Sianna Sherman and more recently, with senior teachers Sue Lovell and Alan Brown in the Iyengar tradition. I am grateful for the insights and guidance that all of my teachers have brought. I set up my business, Yoga in Penryn (now Lucinda Yoga), in 2008 and teach yoga and meditation classes, pregnancy yoga, workshops, yoga therapy and 1-1’s, yoga and mindfulness for business in the Falmouth and Penryn area, as well as international retreats. My classes include a mixture of flow and close attention to alignment in asana, pranayama, philosophy and meditation. For me, the science of yoga can only be understood through embodiment of the teachings.